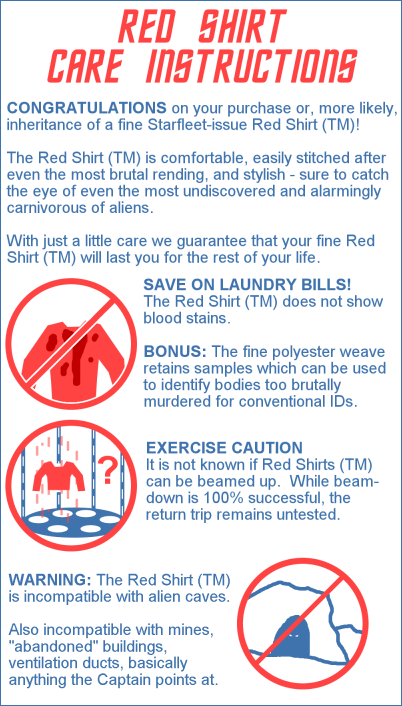 With the comfy starship and the open-minded, humanistic captain, life in the Star Trek universe sure looks a hell of a lot easier than what we're doing now. 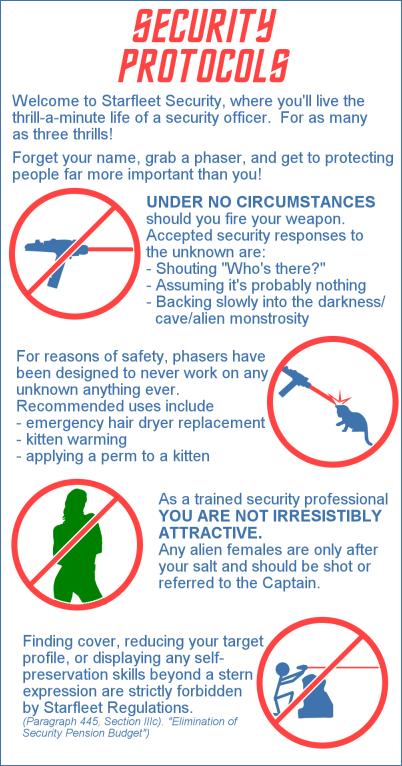 But make no mistake, the USS Enterprise is a workplace like any other, and there are strict rules that must be followed if unthinkable consequences are to be avoided. 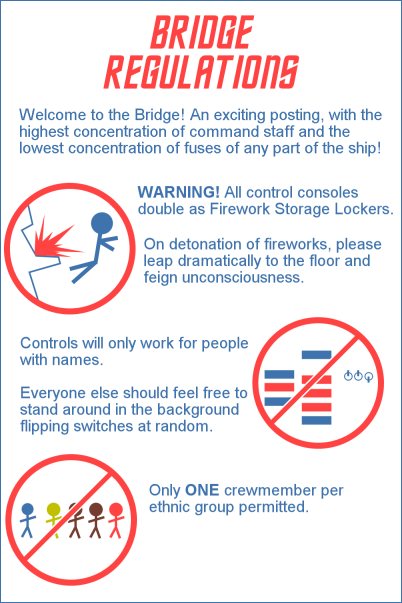 Here are some helpful guidelines you can find posted around the ship.